International Students' Advisory Council Lecture Series:How to Tell You're in Canada, Eh! The International Students' Advisory Council Lecture Series presents "How to Tell You're in Canada, Eh!" Screening: "Bonfire of the Vanities"
Through lyrics and lecture, learn about the untold story of the Buffalo Soldier with Christienna D. Fryar, assistant professor of history and social studies education. Please join the School of Education Professional Development Schools Consortium (PDS) for a special presentation by visitors from our partner university in Santiago, Chile on Tuesday, February 4 at 12:15 pm until 1:30 pm in Bacon Hall 115.  Attend Buffalo State's Distinctive Graduate Programs Information Session to learn about the next steps, meet with faculty, and discover all we have to offer! "How is History a Useful Discipline for the Twenty First Century? The Practice of History: Careful Research and Creative Results," presented by William Cook, Distinguished Teaching Professor of History, SUNY Geneseo. The Native American Student Organization, School of Education, and Campus Life Office are proud to welcome Dr. Daniel Wildcat to Buffalo State on Wednesday, April 30, 2014 from 1:30 pm until 2:30 pm in the Campbell Student Union Assembly Hall. The campus is invited to join the African and African American studies program for its Faculty and Student Conference. "Saying Goodbye to America: The Elegy Form in the Poetry of Wanda Coleman"
Steve Peraza, Ph.D. candidate in the University at Buffalo's Department of History, will present "Slave Legal Resistance: Problems and Possibilities". His talk is sponsored by Phi Alpha Theta, the National History Honor Society. Buffalo Common Council North District Representative Joseph Golombek will present "Municipalities and the Constitution." Dinner available Friday for $35. Lunch available Saturday for $20. Summary: A chronicled look at the criminal exploits of Colombian drug lord Pablo Escobar. Join the Professional Development Schools Consortium (PDS) at the 2017 Teacher Tailgate, an open house gathering of education students, staff, and faculty to extend relationships across academic boundaries and share information and opportunities with teacher candidates. In observation of Constitution Day, Buffalo Common Council Member Joseph Golombek will discuss "Municipalities and the Constitution." History and Social Studies Education Department Workshop: So, You're Thinking about Grad School? The MAT test fee is $80. Payment must be in the form of a money order payable to Buffalo State. The fee covers one personal score report that will be mailed to you, and up to three official transcripts that will be sent to schools you specify.